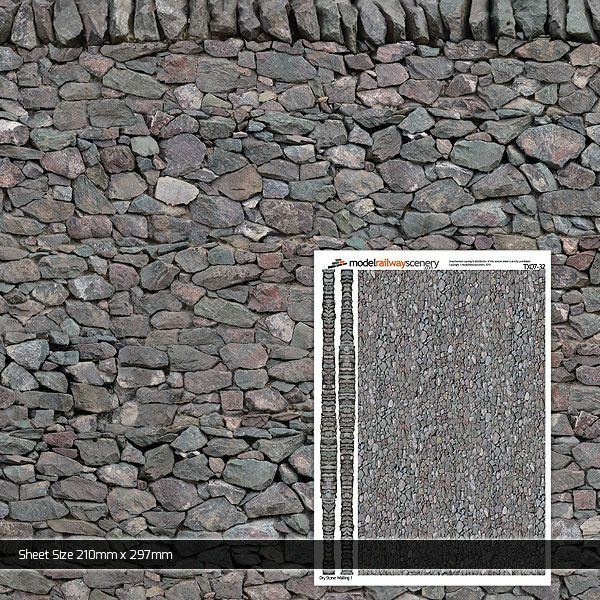 A pack of 5 A4 sheets (210mm x 297mm) of photo-realistic, Dry Stone Wall. 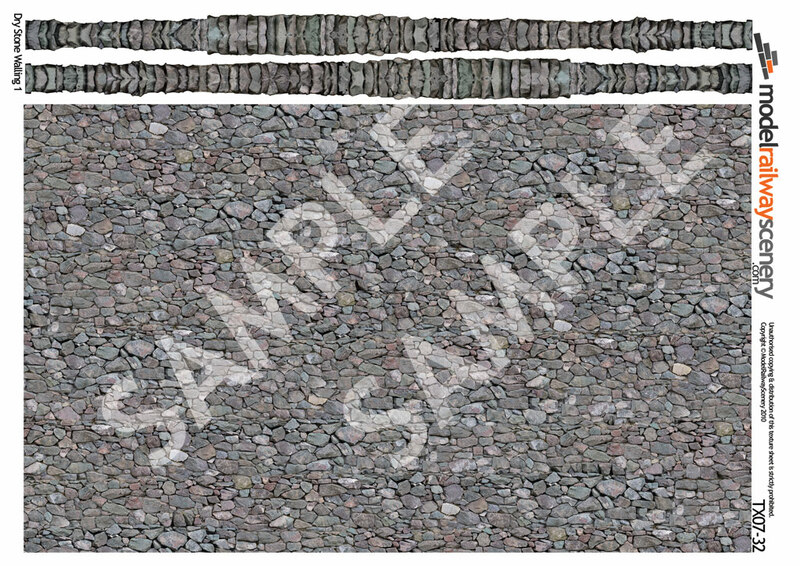 Created using photographic samples of Leicestershire Granite walling. Ideal for use when scratch-building dry stone walls, farm buildings & older lineside huts. Includes two rows of coping stones which can be used along the top of a wall etc. Can be cut to any size to suit your project. Perfect for all steam era & modern image gauge 1 model railway layouts and 1:32 Britains diecast dioramas. Professionally printed in-house onto high quality matt white paper using a digital press. Can be easily cut to size and glued onto your chosen surface (MDF, card, plywood etc) using thinned PVA, Spray Mount, PVA or double-sided tape.